The blossoms are expected to reach the third stage of development — extension of florets — pretty quickly. This year's peak bloom period is predicted to be April 3–6. 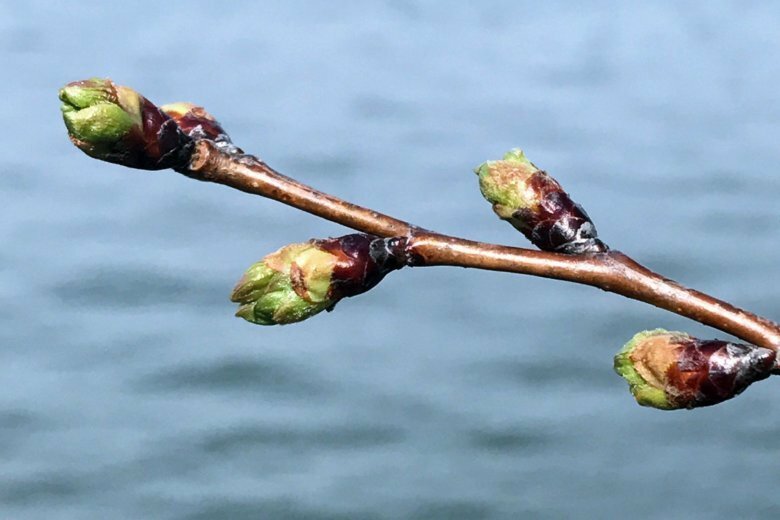 Florets are visible on the iconic Yoshino cherry trees around the Tidal Basin on the National Mall. That means they’ve reached the second stage of their carefully monitored blooming process. The National Park Service made it official Monday. “We had a couple warm days late last week, especially Friday where we got up around 70. And that gave us the warm temperatures, the push we needed,” said the park service’s Mike Litterst. Last year, the trees reached stage two a few days earlier, on March 15, but the dates can vary quite a lot. Litterst said there are usually about 17 days between the time the blossoms reach stage two and peak bloom. This year’s peak bloom period, defined as the time when 70 percent of the Yoshino tree blossoms are open, is predicted to be April 3–6. The blossoms are expected to reach the third stage of development — extension of florets — pretty quickly. “We’re certainly looking for the next stage to happen probably by late this week — Thursday or Friday,” Litterst said. 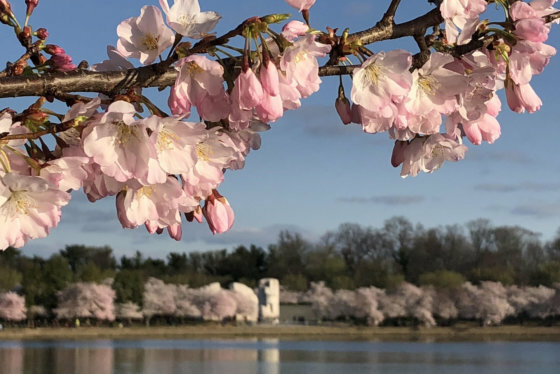 The 2019 National Cherry Blossom Festival runs from March 20 to April 14. Share your cherry blossom photos with WTOP using @wtop on Twitter, through the WTOP app or email them to talkback@wtop.com. Join the conversation. Follow along and use the tag #WTOPinBloom on Instagram and Twitter and we may include your post in our coverage.